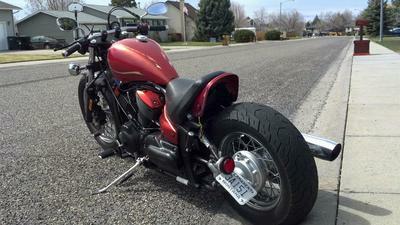 Bobbed 2006 Vstar 1100. Narrowed XJ 750 tank. Re-jetted, no airbox, slash cut exhaust. Custom tail light and plate mount. Cut down drag bars.